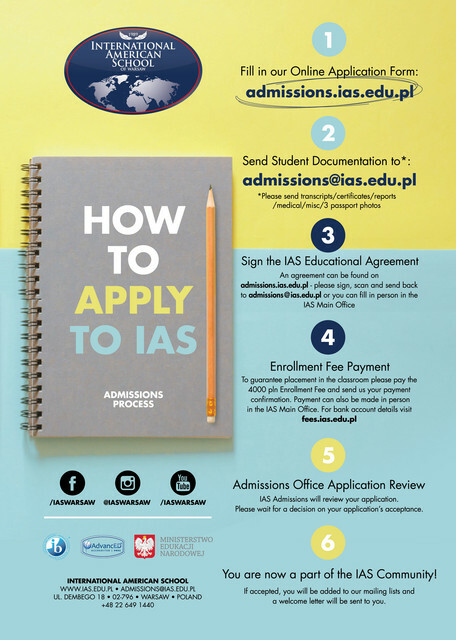 IAS is a K-12 institution founded in 1989 as one of the first international schools in Poland. We maintain the integrity of our education through a “small school” environment with manageable class sizes and a student- centered teaching approach. We have a diverse student body and faculty with over 40 nationalities represented. 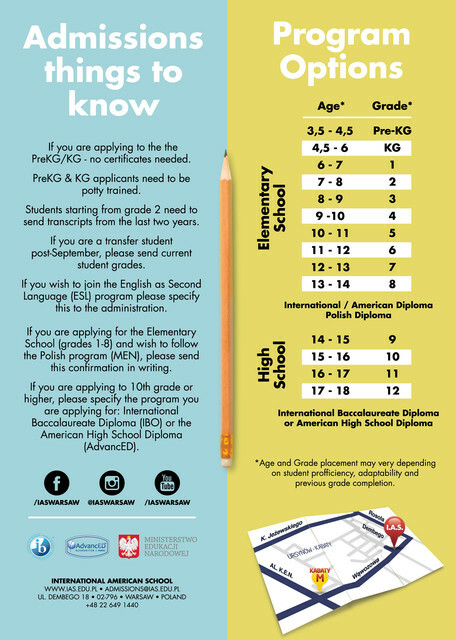 We are accredited through three major educational bodies: the International Baccalaureate Organization, AdvancED, and the Polish Ministry of Educations. Therefore, offering a diploma track for university studies in Europe, the UK, America, Poland, and in fact all over the world.